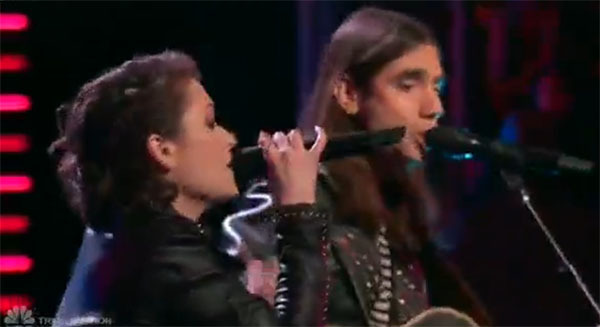 Johnny Gates and Sammie Zonana from Team Gwen performs ‘I Drove All Night’ by Celine Dion on The Voice Season 12 Battle Rounds, Tuesday, March 21, 2017. “You guys are both really unique,” said Adam Levine. “You are expressing your self on stage,” said Blake Shelton. “I love your individuality and it was a great job,” said Alicia Keys. “I was amazed by you and you made it your own,” said Gwen Stefani. Johnny Gates win this battle, no steal for Sammie Zonana. Watch their performance on the video below. What can you say about Johnny Gates and Sammie Zonana’s performance? Share your comments below.